in 2011, 2012, 2013 & 2015. 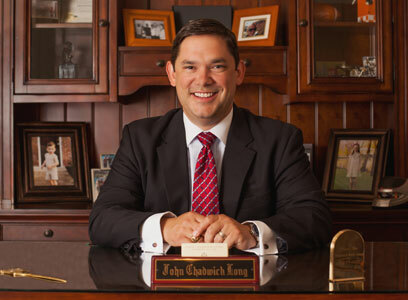 John Chadwick Long was born and raised in Pulaski, TN. In 1995, Chad graduated from Giles County High School, finishing in the Top 10 of his class. In the fall of 1995, Chad attended the University of Tennessee, Knoxville where he graduated in May 2000 with a Bachelor of Sciences in Communications (Public Relations, major; Finance, minor). As an undergraduate, he was a member of the Student Government Association's Freshman Council. His greatest involvement was with the Epsilon Eta Chapter of Sigma Nu Fraternity where he pledged in Spring 1996 and was initiated as a Knight and Brother in Fall 1996. As an Active Member of the Fraternity, Chad served as Rush Chairman, Alumni Chairman and Lieutenant Commander. Throughout his collegiate experience in the fraternity, he spearheaded the revamping of the practically dissolved alumni association of one of the oldest fraternities at UTK. Consequently, he received the Man of the Year Award, the highest Active Member honor, in 1999. Upon graduation, Chad continued his involvement and support as the Chapter Advisor. Currently, he is the President of the Epsilon Eta Alumni Association and serves as the National Vice-Chairman of the chapter's fundraising campaign. As a result of a rebuilt alumni association over fourteen years, the active members reside in a new, state-of-the-art $1.8 million chapter house that was dedicated in April 2010. Chad received the Alumni of the Year Award from the Active Chapter in 2007 and was inducted into the Torchbearer Society, the Alumni Chapter's Highest Honor, at the April 2010 House Dedication. 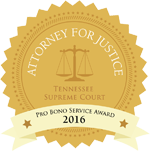 While pursuing his Juris Doctorate from the Nashville School of Law, Chad met his beautiful and very supportive wife, Lauren, in February 2004. They later married on September 24, 2005. Chad graduated in May 2006 and passed the Bar Exam in July 2006 on his first attempt. 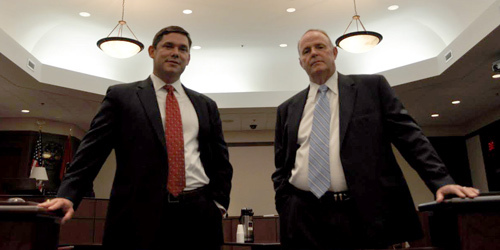 Chad began his legal career in Real Estate law followed by the opening of his own practice in October 2007. 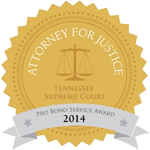 His practice includes criminal law, probate, civil litigation, business consultation, estate planning and family law. Chad moved his practice to Gallatin, Tennessee in July 2008. 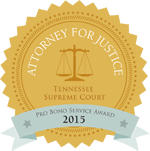 From 2009 through 2013, Chad served on the executive council of the Sumner County Bar Association. As a member of the Executive Council, he served as Secretary, Treasurer, Vice President and President. Chad's greatest joy and favorite pastime include activities with his family. Chad and his wife, Lauren, take great pride in their three children. The Long family is actively involved at Gallatin First United Methodist Church where Chad serves as an usher, Stewardship Chairman and member of the finance committee. Lauren serves on the Children's Ministry Council and as a Small Group Leader. Chad's wife also takes pride in her work with the Junior Service League of Gallatin where she currently serves as President Elect.